In an ideal world there wouldn’t be children without parents. In an ideal world hospitals wouldn’t be bombed because they looked a bit like something else. In an ideal world everything would be sweet and smooth and we could all afford to be as selfish as we liked and it wouldn’t matter. But it isn’t. Its messy and unpredictable, and no matter how much time we spend moaning about how bloody inconvenient that is it won’t change. We can’t change the cards we are dealt, but we can change how we play them. The 3000 children, alone with no one, who have fled from all manner of ghastliness that it’s hard to even imagine, have been dealt some pretty bad cards by the world. We don’t have to go into who dealt them and if we have some role in how the deck was shuffled. No. It’s much more simple than that. Three thousand kids with no one looking out for them. So somebody has to. Who is it going to be? So who will take on the task of taking care of these three thousand children with nothing and noone, who have had everything taken from them, and now risk having their futures taken too? There is a queue of child traffickers eager to take on the job. The sickening shamefulness of this got to me so much on Thursday that I put aside all the other things I was supposed to be doing and wrote in the genre I can do best, a picture book text – though obviously without the pictures. It ends with a child being turned away from a school because there’s no chair for her to sit on. I Skyped my friend Jackie Morris cos the words were burning me and I had to read them to someone. In the middle of a million things she has to do she said she’d draw a chair. Then I sent it to Emily Drabble at the Guardian and by Thursday evening it was up on the internet. 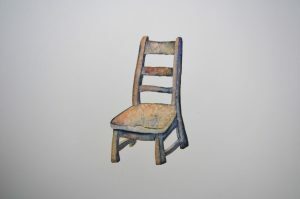 Yesterday afternoon talking to my friend Petr Horacek, I told him about the story and he offered to do a chair too. Somehow the idea of 3000 empty chairs, one each for those lone, rejected children seemed like a good one. 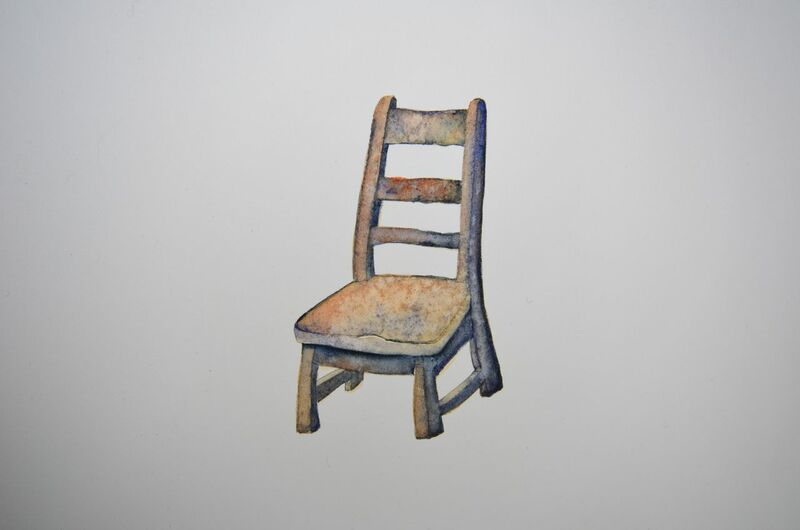 A chair, so shaped for a human, so strange and purposeless without body to sit on it. 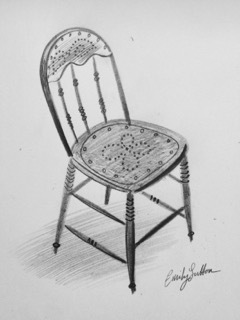 And now, less than 24 hours later, illustrators, writers, readers, parents, children are sending chairs…drawn, painted, even and embroidered House of commons one from Karen Celestine. Wouldn’t it be wonderful if we could gather three thousand chairs ready to parade across the internet and make the people who voted to shrug their shoulders and throw those kids to the traffickers hang their heads in shame. It came across the playground. But war had followed me. It was in the way the people didn’t smile, and turned away. but the teacher didn’t smile. Pushing back the war with every step.